It’s easy to ignore some of the daily nuisances of life, like your medicine cabinet that doesn’t latch properly or your faucet that sometimes drips. However, frequent snoring and constant fatigue are not nuisances that you should simply deal with and ignore. 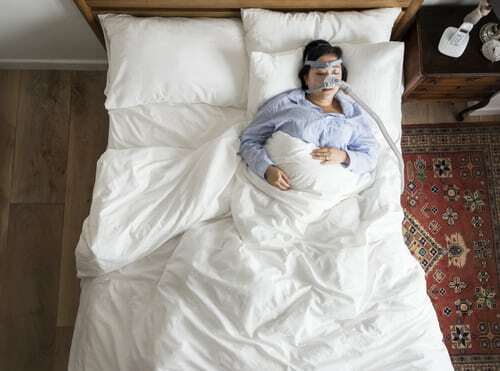 In fact, they could be signs of obstructive sleep apnea (OSA), a potentially life-threatening sleep disorder in which the airwaves become blocked during sleep. Learn about the risk factors for obstructive sleep apnea so that you know when it’s time to see a doctor. OSA is a sleep disorder that occurs when the throat muscles relax and block the airway during sleep, sometimes for short periods and sometimes for longer periods. One common symptom of OSA is loud snoring, which can impact your quality of life and your partner’s quality of sleep. Although snoring has other causes, consider getting tested for OSA if you do snore. This disorder can disrupt your sleep and leave you feeling drowsy, no matter how comfortable your bed is or when you go to sleep. If you wake up gasping or choking, you should seek medical attention immediately. Other signs of OSA include waking up with a headache or dry mouth, mood changes, decreased libido, night sweats, and difficulty remembering. According to a Harvard University sleep study, four percent of middle-aged men and two percent of middle-aged women in America have OSA. However, experts at Harvard believe this is a conservative estimate, and the number is probably much higher (source). The symptoms of OSA in children look a little different than they do in adults. They might be overactive and have aggressive behavior, sleep with their neck overextended, and wet the bed. However, some of the symptoms of OSA between adults and children look the same. For example, when children with OSA sleep, they might also snore, have labored breathing, sweat, and have body movements. Seek medical treatment for your child immediately if they exhibit any of these symptoms. Are you on a lengthy waitlist to see a specialist for an OSA diagnosis? Ask your dentist if they can provide a diagnosis. At Duff Family Dental, we are proud to be one of the few dental providers in southwest Missouri able to diagnose and treat OSA. We offer a variety of other dental services as well, including cosmetic dentistry, pediatric dentistry, composite fillings, dental bonding, and more. Ask our qualified staff what Duff Family Dental can do for you. We’ll work with you to choose the OSA treatment that works best for your situation, and we can customize our treatment options to meet your needs. To get started, give us a call at 417-501-8601 or schedule an appointment online. We look forward to seeing you!